BY HON. J. L. M. CURRY, LL. 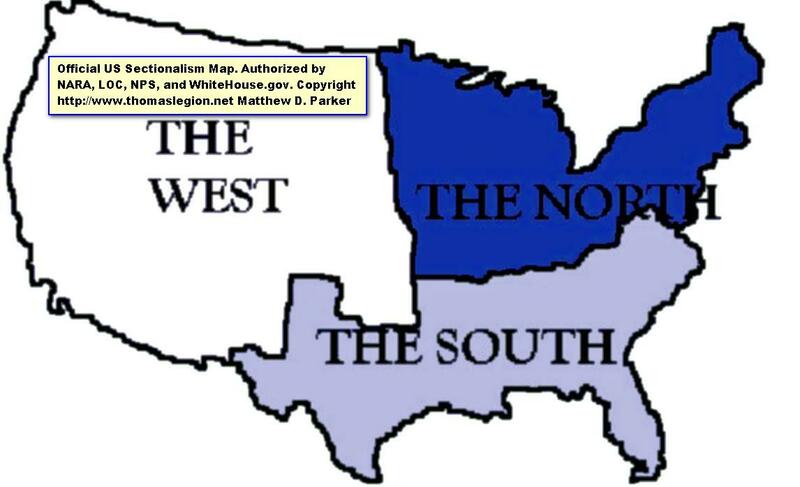 D.
THE Southern States have shared the fate of all conquered peoples. The conquerors write their history. Power in the ascendant not only makes laws, but controls public opinion. This precedent should make the late Confederates the more anxious to keep before the public the facts of their history, that impartial writers may weigh and properly estimate them in making up the verdict of an unbiased posterity. Besides, as they have been the objects of persistent misrepresentation, and authentic records have been perverted to their prejudice, their descendants are liable to receive and hold opinions hostile and derogatory to their fathers. In this series of volumes, pertaining to the history of the Confederate States, all concerned wish to disclaim in advance any wish or purpose to reverse the arbitrament of war, to repeal the late amendments to the Constitution, to revive African slavery, or secession as a State right or remedy; or to organize any party, or cultivate an opinion, which, directly or indirectly, shall inculcate disloyalty to the Union, or affect the allegiance of citizens to the Federal government. Let it be stated, once for all, that this argument as to the right of the South to be protected in property in slaves and the exclusive right of a State to be the final judge of the powers of the general government and to apply suitable remedies, is based on the Constitution and the rights of the States as they existed in 1860. The amendments made, since that year, in Federal and State constitutions, put an entirely new and different phase on the subjects discussed, for these changes have expurgated slavery and secession from our institutions. Our sole object is to present the Southern side of the controversy as it existed in 1860 and to vindicate it from accusations and aspersions which are based on ignorance and injustice. As the South is habitually condemned and held criminal for seeking to perpetuate a great wrong, it is well to inquire and investigate who was responsible for the state of things which precipitated and prolonged the crisis of 1860-1865. If the act of secession cannot be justified the Southern people will be stigmatized as a brave and rash people deluded by bad men who attempted in an illegal and wicked manner to overthrow the Union. Painfully are we conscious of the disadvantages in any effort to vindicate the motives and principles and conduct of the Southern States and secure a rehearing and re-adjudication of a suit which seems to have been settled adversely by the tribunal of public opinion. We have a right to ask of our fellow citizens and of the world a patient and fair hearing while we present anew the grounds of our action. We challenge the closest scrutiny of facts and arguments, and if they cannot be disproved and refuted, justice and honesty demand a modification or reversal of the adverse judgment. Few writers seem to comprehend the underlying idea of secession, or the reasons for the establishment of the Southern Confederacy. Swayed by passion or political and sectional animosity, they ignore the primary facts in our origin as a government, the true principles of the Constitution, the flagrant nullifications of the Northern States; and, when they philosophize, conclusions are drawn from false premises and hence injustice is done. Too often, in the endeavor to narrate the deeds of and since the war, prejudiced and vicious statements as to character and motives have been accepted and acted on as verifiable or undeniable facts. (*) "In the great historic debate in the Senate in 1830, Robert Y. Hayne, of South Carolina, said that they assumed the name of Democratic Republicans in 1812. True to their political faith they have always been in favor of limitations of power, they have insisted that all powers. not delegated to the Federal government are reserved, and have been constantly struggling to preserve the fights of the States and to prevent them from being drawn into the vortex and swallowed up by one great consolidated government. As confirmatory of the statement that the South has been misrepresented and villified through ignorance, it may be said that, while school boys are familiar with Webster's eloquent periods, few writers and politicians have read the more logical and unanswerable argument of Hayne." for determining the political differences between the North and South except the Constitution, but some preliminary inquiries, answers to which will be suggestive and argumentative, may aid in understanding and interpreting that instrument. Our Constitution is not a mere temporary expedient. It exists in full force until changed by an explicit and authentic act, as prescribed by the instrument, and in its essential features is for all time, for it contains the fundamental principles of all good government, of all free representative institutions. Among these requisites, unalterable by changing conditions of society, are individual liberty, freedom of labor, of human development, rights of conscience, equality of the States, distribution of political powers into independent executive, legislative and judicial departments, and a careful restriction of those powers to public uses only, the healthy action of concurrent majorities, a careful safe-guarding that the power which makes the laws and the power which applies them shall not be in the same hands, and local self-government. The people are ultimately the source of all political power, and the powers delegated are in trust, alterable or terminable only in a legitimate and prescribed manner. Changes cannot be made to conform to a supposed moral sense, or to new environments, neither by the "fierce democracy," nor by the action of a department, nor by a combination of all departments. To obtain a correct comprehension of the dignity and power of the States it is well to consider them as they emerged from their colonial condition, having waged a tedious and successful war against the mother country, having achieved separate independence and established a new form of government, a federal union of concurrent majorities, under a written constitution. The American colonies have not had sufficient importance ascribed to them for their agency in achieving civil and religious liberty; and, with their rights and powers as separate governments, as the potential forerunners of our constitutional, representative, federal republic. The institutions founded in this western world, in the essential elements o law and freedom, were far in advance of contemporary transatlantic institutions. The relations they sustained to one another and to the controlling English government, their large measure of local administration, must be clearly comprehended to do them justice for what they wrought out and to understand what character and power they preserved as States in the government of their creation under the Federal constitution. Their precise political condition prior to the Revolution cannot be obscured. The colonies were separate in the regulation of domestic concerns, in home affairs, but sustained a common relation to the British empire. The colonists were fellow subjects, owed allegiance to the same crown, had all the rights, privileges and liabilities of every other British subject. (*) The inhabitants of one colony owed no obedience to the laws, were not under the jurisdiction of any other colony; were under no civil obligation to bear arms or pay taxes, or in any wise to contribute to the support or defense of another, and were wholly distinct and separate from all others in political functions, in political rights, and in political duties. In so far as all the colonists were one people and had common rights, it was the result of their mutual relation to the same sovereign, of common dependence on the same head, and not any result of a relation between themselves. (*) Some of these principles are ably discussed by the Hon. Thomas F Bayard in an address, 7th of November, 1895, before the Edinburgh Philosophical Institution, the same paper which excited the partisan ire of the House of Representatives in 1896. There was neither alliance nor confederacy between the colonies. When hostilities between Great Britain and the colonies became imminent, because of adverse imperial legislation and the unlimited claim of the right of taxation, and united effort was obvious and imperative, to relieve themselves from the burdens and injustice of the laws and the claims of a distant government, the colonies, each acting for itself, and not conjointly with any other, sent deputies to a general congress, and when the body assembled each colony had a single vote, and on all questions of general concern they asserted and retained their equality. The Congresses of 1774, 1775 and 1776 were occasional and not permanent bodies, claimed no sovereign authority, had no true governmental powers, and seldom assumed to go beyond deliberation, advice and recommendation. When under stress of war and the danger of or impossibility of delay they acted as a de facto government, their acts were valid, had the force and effect of law only by subsequent confirmation or tacit acquiescence. The common oppressions and dangers were strong incentives to concert of action and to assent and submission to what was done for resistance to a common enemy. There never was any pretense of authority to act on individuals, and in all acts reference was had to the colonies, and never to the people, individually or as a nation. Virginia made a declaration on the 12th of June, 1776, renouncing her colonial dependence on Great Britain and separating herself forever from that kingdom. On the 29th of June, in the same year, she performed the highest function of independent sovereignty by adopting and ordaining a constitution, prescribing an oath of fealty and allegiance for all who might hold office under her authority, and that remained as the organic law of the Old Dominion until 1829. The Declaration of Independence, subsequently on the 4th of July, was an act of Congress declaring absolution of the colonies from allegiance to the crown and government of Great Britain and that they were "free and independent States." The Congress which made this Declaration was appointed by the colonies in their separate and distinct capacity. They voted on its adoption in their separate character, each giving one vote by all its own representatives who acted in strict obedience to specific instructions from their respective colonies, and the members signed the Declaration in that way. The members had authority to act in the name of their own colony and not of any other, and were representatives only of the colony which appointed them. Judge Story, in his "Commentaries on the Constitution," reasons upon this instrument as having the effect of making the colonies "one people," merging their existence as separate communities into one nation. The Declaration of Independence is often quoted as an authoritative political document defining political rights and duties, as on a parity with the Constitution, and as binding parties and people and courts and States by its utterances. The platform of the Republican party in 1856 and 1860 affirms the principles of this Declaration to be essential to the preservation of our republican institutions, the Constitution and the rights of the States, when, in truth and in fact, its main and almost its sole object was to declare and justify the separation from, and the independence of, the British crown. In no sense was the paper or the act intended as a bill of rights, or to enunciate the fundamental principles of a republic, or to define the status of the colonies, except in their relation to the mother country. No true American will underrate the significance or the importance of the act of separation from a foreign empire, or hold otherwise than with the highest respect the reasons which our fathers gave in vindication of their momentous and courageous action. Refusing to be subject to the authority of the crown and the parliament was a heroic undertaking dictated by the loftiest patriotism and a genuine love of liberty. Putting into the minds and hearts of our ancestors more far reaching and prescient purposes than they possessed will not magnify their virtues nor enhance their merit. They met the issues presented with the sagacity of statesmen and were not guilty of the folly of propagandism of the French revolutionists, a few years later. The colonies being distinct and separate communities, with sovereignty vested in the British crown, when the tie which bound them to that sovereignty was severed, upon each colony respectively was devolved that sovereignty and each emerged from provincial dependence into an independent and sovereign State. A conclusive proof of the relation of the colonies to one another and to the revolutionary government is to be found in the recommendation in 1776 for the passing of laws for the punishment of treason, and it was declared that the crime should be considered as committed against the colonies individually and not against them all as united together. The joint expression of separate wills in reference to continued union with England expressed no opinion and suggested no action on the subject of a common government, or of forming a closer union. It completed the severance of the rapidly disuniting ties which bound to the government across the seas. Some of the colonies, prior to the 4th of July, had declared their independence and established State constitutions, and now all, by a more public and stronger and more effective affirmation, united in doing what had by some been separately resolved upon. Ceasing to be dependent communities involved no change in relations with one another beyond what was necessarily incident to separation from the parent country. The supremacy which had previously existed in Great Britain, separately over each colony and not jointly over all, having ceased, each became a free and independent State, taking to herself what applied to and over herself. The Declaration of Independence is not a form of government, not an enumeration of popular rights, not a compact between States, but was recognized in its fullest demands, when, in 1782, Great Britain acknowledged New Hampshire, Massachusetts, New York, South Carolina, Georgia and the other colonies to be "free, sovereign and independent States." Stress is laid on the revolutionary government and on the Declaration of Independence by those who are anxious to establish the theory of a national or consolidated government, reducing the States to mere dependencies upon central power. As has been shown, the contention, derived from those sources, is without legal or historical foundation; but the temporary government, largely for war purposes, was superseded by the Articles of Confederation, which, because of the reluctance of the States to delegate their powers, did not become obligatory until 1781, as their ratification by all the States was a condition precedent to their having any binding force. These articles, in explicit terms, incapable of misinterpretation, declare that "each State retains its sovereignty, freedom and independence and every power, jurisdiction and right, which is not by this confederation expressly delegated to the United States in Congress assembled." There can be no mistake here as to the reservation of entire freedom, entire independence, entire sovereignty. These were retained without qualification or limitation, and the use of the word "retains" is the clearest assertion that these unsurrendered prerogatives were possessed under the previous government. This historical review was not necessary except argumentatively as throwing light on the real facts, and as raising the strong presumption, to be rebutted only by irrefragable proof, that a state once sovereign has not voluntarily surrendered that ultimate supreme power of self-government or self-existence. While in a colonial condition the people of the several States were in no proper political sense a nation, or "one people;" by the declaration and the treaty of peace each State became a complete sovereignty within its own limits; the revolutionary government was a government of the States as such through Congress as the common agent, and by the Articles of Confederation each state expressly reserved its entire sovereignty and independence. In all this succession of history there was no trend to consolidation and the most conspicuous; feature was the jealous retention by the States of their separate sovereignty.